Very Good. Random House Webster's College Dictionary by Random House Inc, 2001-03-22. Sewn binding. Cloth over boards. 1600 p. Contains: Illustrations. Random House Webster's College Dictionary (W/CD). Good. Random House Webster's College Dictionary by Random House Inc, 2001-03-22. Sewn binding. Cloth over boards. 1600 p. Contains: Illustrations. 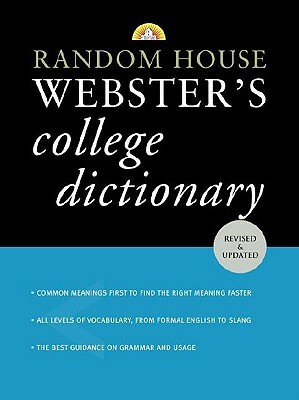 Random House Webster's College Dictionary (W/CD).